We at Babylonstoren are always interested in learning something new, and so four weeks ago, we started learning the art of mushroom growing. 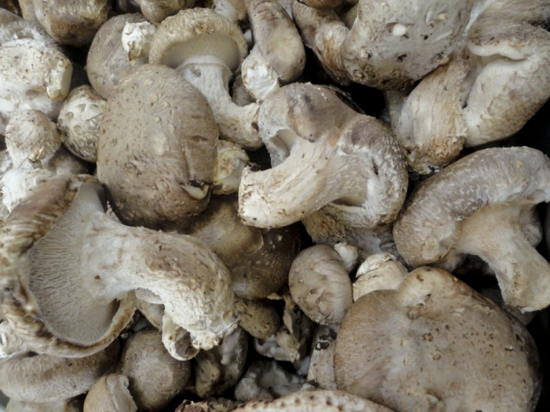 We decided to first focus on the cultivation of Shiitake (Lentinula edodes) mushrooms for the restaurant. 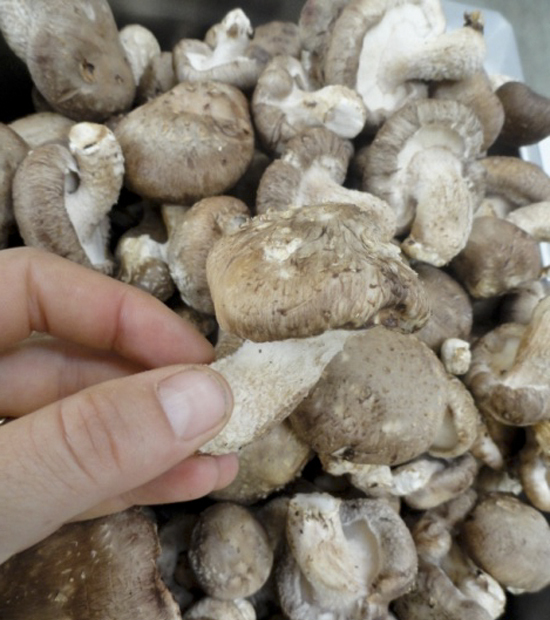 The Shiitake is the most popular of all gourmet mushrooms, and the first written record of shiitake cultivation can be traced to China, A.D. 960-1127.In Japan, Shiitake wine, Shiitake cookies and even Shiitake candies are marketed. 1. The Shiitake mushroom oak chip based substrate which is inoculated with Shiitake spawn. 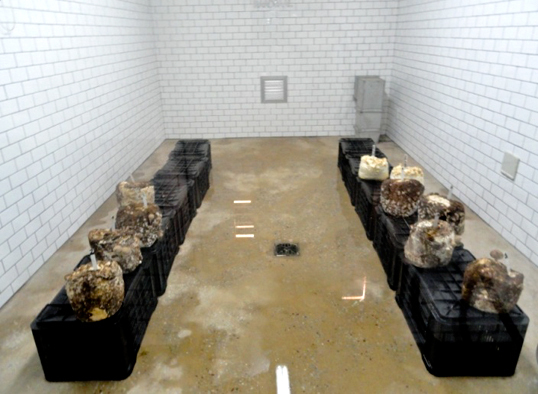 We control the temperature and humidity in our mushroom growing room in order to create the optimum growing conditions for this specific mushroom. 3. The mushrooms are picked when the gills of the mushrooms are visible, and taken to Babel restaurant to be used in one of our dishes. 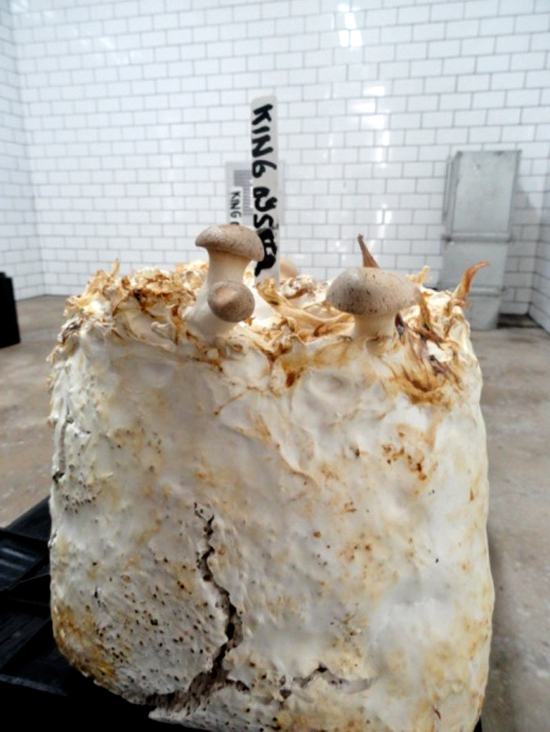 In our mushroom growing room, we included two blocks of King oyster (Pleurotus eryngii) substrates as well. King oyster mushrooms are known as the best tasting oyster mushrooms, ard are sometimes presented as vegetarian ‘bacon’! Their stems can grow to 10cm length, and ours are looking pretty healthy too. You have got some great looking mushrooms and you growing room looks fantastic. I take it you grow them to use in your restaurant? That is awesome.